Members and volunteers of the Foundation Board with members of the Legion. 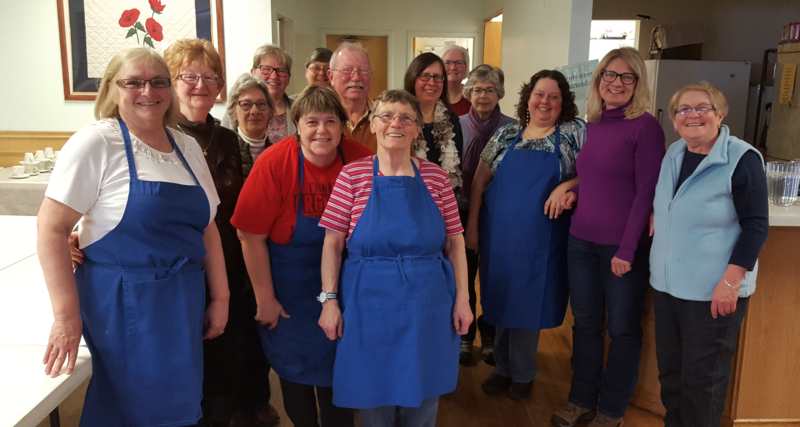 Recently, the members and volunteers of the LDHC Foundation attended one of the Legion’s monthly luncheons and enjoyed a delicious meal as well as an opportunity to visit with others. Thank you to the Legion for their continued support of the local hospital foundation. The Foundation welcomed a new intern this month, Thea Desgagne has begun her internship. We welcome Thea and look forward to working with her on the Foundation’s endeavours to raise funds to support local health care enhancements. We are in the process of updating the Donor Boards and will be hosting a Donor Recognition Celebration in the spring. Please look in your mailboxes in the next couple of weeks for the Spring Ahead to Better Health Care flyer. The Foundation’s current fundraiser is to complete raising funds for Phase 2 of the Digital Radiography Upgrade for the x ray department. The LDHC Foundation is very excited to share the news that the Foundation marked its 10thyear anniversary this past February. From small seeds, great things grow, who could have imagined the growth which the Foundation has experienced in these last ten years. THANK YOU to each and every donor who has supported the Foundation’s growth in any way.